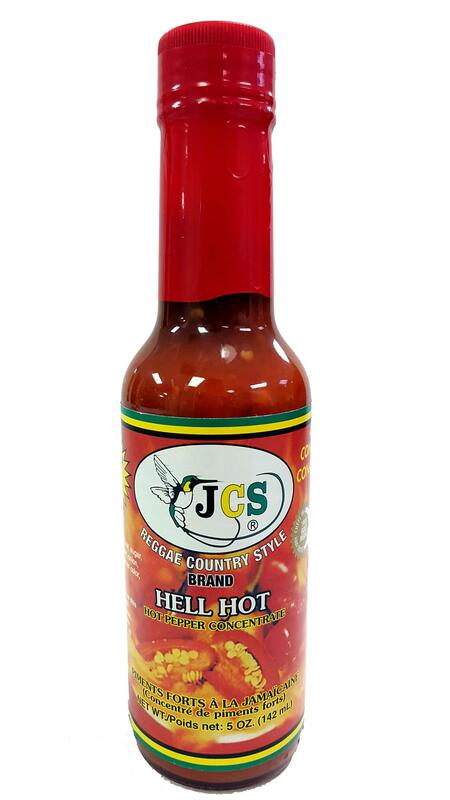 JCS Hell Hot, Hot Sauce, is an imported special blend 4 in 1 Hot Pepper Concentrate. It's sure to turn up the heat in any kitchen with authentic Jamaican spices! You don't know hot until you've had Hell Hot.